We need girls and women in all creative fields, not just in fields related to the humanities, such as reading, literature, creative writing, art, drama, music and dance. What happens to girls who are originally intrigued by science and math areas to cause them to turn away from these interests? Why is it that girls lose interest in topics related to STEM (Science, Technology, Engineering and Math)? Studies show that in the early years, girls are attracted to and motivated to pursue topics related to STEM. But other studies show that girls as young as six start to turn away from science and math activities. And even girls who maintain skill and curiosity in these areas start to lose interest in subjects related to STEM at around the age of 14 or 15 and usually never regain it. There are many theories about why this happens. 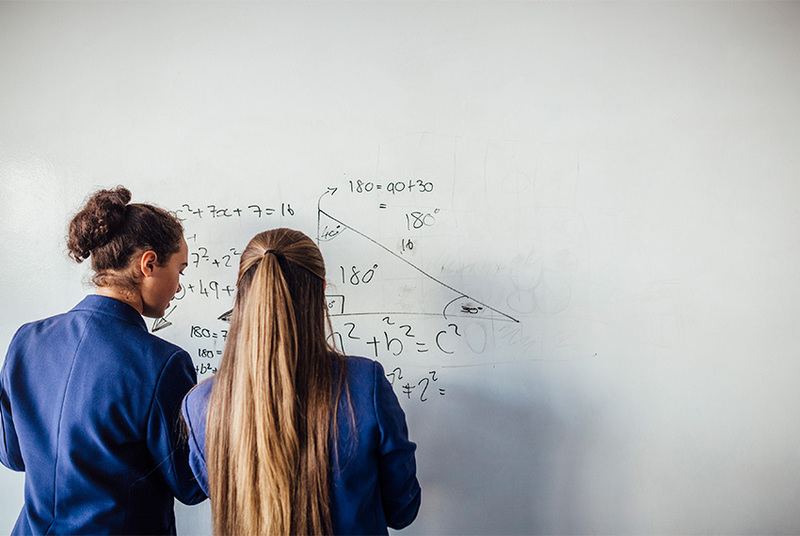 One theory indicates that conformity to social expectations, gender stereotypes, gender roles and lack of role models continue to direct girls’ career choices away from STEM fields. This is surely true. Parent influence contributes as well. I clearly remember my mother stating, “I was never good at math. Go ask your dad.” I was also told when I got a lower grade in science, “That’s okay, you’re good at reading and writing.” Such messages subtly convey that it’s okay to not be good at these topics if you’re a girl. Awareness of the need for changes to encourage and support girls in the STEM fields is growing. Pink blocks and tool kits and girl-themed science kits have made their entrance into the toy market. Workshops, clubs, camps, and science events provide a means for girls to learn the practical application of STEM knowledge. So what can parents do to stop limiting the choices of girls’ directions of inquiry, creativity, and study? How can we encourage exploration of less stereotypical topics? 1. Pay attention to your own words. What do you say that denigrates your own skills in math and science? Be aware that this influences your child. 2. Introduce toys and materials related to science, technology, engineering and math in addition to other, more traditional interests. 3. Provide opportunities for your daughters to meet, talk to and observe women in various fields. Choose movies and other media that portray powerful, smart women in leadership roles. Role models are important to show possible options. 4. Seek out extracurricular activities that are both fun and illustrate the relevance of learning STEM skills to everyday life. Activities such as robotics workshops, clubs such as Girls Who Code, science fairs, space camps, and so on are great ways to engage children in creative endeavors and motivate an interest in STEM. 5. Encourage pursuit of multiple passions. There is no reason a girl can’t be on a dance team and also be in the science fair. Combining the right-brained thinking required for the arts with the reasoning and detailed investigation required for STEM results in more creative and imaginative processes and productions. The idea of a “Renaissance man,” one who has talents in many areas of life is limiting. We need Renaissance women as well, with not only knowledge and talent across many areas, but also the sensitivity and compassion to understand how to use them. Movies such as Hidden Figures provide insight into how women have contributed greatly (and silently) to scientific progress. We need to introduce our girls to all of these women who came before and invite them to become a not-so-silent leader in their own right. Dr. Toni Linder is a leader in the field of early childhood development and early childhood special education. She works with children of diverse backgrounds and ability levels, including children that are gifted and talented, who have disabilities or come from backgrounds of poverty, and those from multicultural backgrounds.